Here’s wishing you a happier Turkey Day if you can avoid these problems while preparing the big meal. Almost no Thanksgiving Day will go off without a hitch. It’s just a lot to get right—a lot of food, a lot of details, a lot of people. The good news is most mistakes can be avoided if you know to anticipate them, plan ahead, and prepare yourself properly. Here, 22 of the most common Thanksgiving mistakes, why they happen, and what you can do to keep them from popping up while you’re cooking the biggest meal of the year. 1. You buy a turkey that’s too small (or too big). You’re used to working in scales of one or two pounds of chicken or ground beef. How much turkey does one need for 12 guests? If your clan is a bunch of leftover-loving fools, plan for a bit more, 1 1/2 to 2 pounds per person. A family of 10 would need a 15- to 20-pound turkey in that case. If a bird that big intimidates you or if you’re fearful your compact oven won’t hold such a large turkey, get two smaller ones. 2. Your turkey doesn’t thaw in time. This is perhaps the most common Thanksgiving mistake—and it’s an easy one to make. Turkeys require days to fully thaw, so if you don’t time it correctly, you could be trying to roast an icy bird. If you take your turkey out of the fridge only to discover it’s still too frosty for cooking, you can speed up the process by putting the wrapped turkey in a large pot or bucket (or even a sink or bathtub if you have to) and filling the vessel with cold water. Replace the water every 30 minutes until completely thawed. You can thaw one pound of turkey in 30 minutes with this method. 3. You don’t dry the turkey’s skin. You’re in for a sad realization if you skip this step of turkey prep. When you don’t thoroughly dry the cavity and skin of the turkey, it will turn soggy during baking. The beautiful crispy, brown skin you’re seeking is only possible if you get it dry before you put it in the oven. 4. You don’t bring the turkey to room temperature before roasting. Remember how that steak guru neighbor of yours once told you the secret to a perfectly-cooked porterhouse is letting the steak come to room temperature before putting it on the grill? Well, that applies here, too. 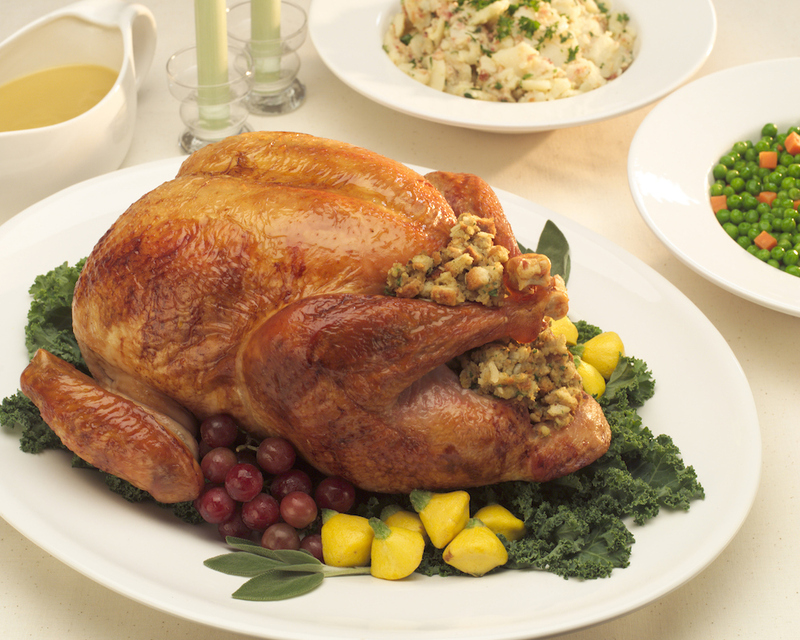 Let your turkey sit out of the fridge for at least one hour (but no more than two or you could have food safety issues to worry about). The time to warm up allows the turkey to cook more evenly. 5. You actually stuff the turkey. We know, it’s called stuffing. That implies it goes into something. But if you’re actually putting your stuffing inside the turkey, stop. Stuffing that sits in a turkey’s cavity soaks up juices from the turkey, but it doesn’t always get hot enough to kill the bacteria that could be present. That’s a recipe for food poisoning or salmonella. Instead, leave the cavity for seasoning ingredients like citrus and whole spices that you won’t eat, and put the stuffing in a casserole dish to bake. 6. You leave the giblets inside the turkey. Most turkeys come with a bag of giblets—that is, the neck, the gizzard, the heart, and the liver. Some folks toss it right on out. Others use it to make giblet gravy, stuffing, or some other family favorite. But you may not realize that bag of organs actually needs to come out of the turkey, lest you burn them and leave your turkey with a faint hint of char. If you fear you’ll forget the giblets, make yourself a note and stick it to the oven door or on the roasting pan. 7. You don’t use a roasting rack for your turkey. Is a roasting rack absolutely necessary for your turkey? No, but it certainly would make your life easier and your turkey more delicious. An inexpensive rack is all you need; you can find one at most kitchen stores for less than 20 bucks. A non-stick one like this Calphalon Small Nonstick Roasting Pan makes cleanup even easier because meat, skin, and congealed fat will peel right off. A rack keeps the turkey elevated above the hot pan too, which prevents burning and overcooked meat. Plus, a turkey on a rack has more space to drop delicious fat and juices which you’ll use to make your gravy. 8. You baste your turkey. Yes, your mom did this, and likely her mom before her, but today, we know better. You can get a juicy, flavorful bird without the basting step. Why should you skip the baste? Each time you open your oven for more than a brief glimpse, the temperature inside drops at least 50 degrees. That’s precious heat when you need to get your turkey done before company arrives. 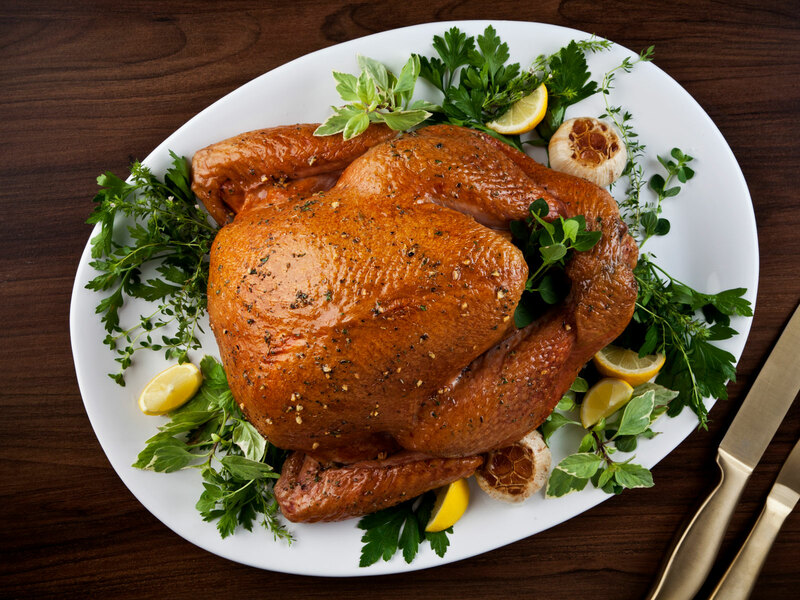 Add flavor with a brine, marinade, or dry rub before the turkey goes into the oven. Then, keep the door closed, and let the turkey roast. For moisture, the best thing you can do is not overcook the bird. 9. You cut into a raw turkey (or a really overcooked one). When you think about how families cooked Thanksgiving dinner 100 years ago, you have to imagine it wasn’t as easy (or perhaps even as fun) as it is today thanks to bluetooth thermometers and Alexa-enabled timers. Indeed, one of these smart devices is actually the key to keeping your turkey from being raw or, perhaps worse, dry. Before Thanksgiving, invest in a smart and swift instant-read digital thermometer. We like the ThermoPop from ThermoWorks or the OXO Good Grips Chef's Precision Digital Instant Read Thermometer. They take fast readings (less time you have to leave the oven door open), and they’re rated as very accurate. Once you have your thermometer, you need to know how to use it correctly. Insert the probe into the thickest part of meat on the breast and thigh. Avoid touching the probe against bones, which can give an artificially high reading. Once you reach 160°F, take the bird out of the oven. The turkey will continue to cook, so you don’t want to venture too much higher or you risk drying out the precious white meat. Also, don’t rely on that red pop-up thermometer that many poultry brands pop into turkeys before freezing them. They’re often unreliable, and they’re sometimes set to pop when the meat reaches 180°F. At that point, your turkey will be so dry you could reenact the carving scene from Christmas Vacation. 10. You don’t let the turkey rest before cutting in. Almost any meat can benefit from a waiting period after the grill or oven and before the knife—and we do mean any. Five minutes is great for a steak; a turkey needs more. When meat is allowed to sit after it comes off the stove or out of the oven, it will continue to cook slightly, and the meat will also reabsorb some of the juices that are moving about. If you cut or bite in too soon, all of those delicious juices could come spilling out onto your plate or carving board. Wait at least 15 minutes before you make your first swipe with a knife. 11. You carve your turkey incorrectly. Turkey will stay juicier if it’s cut correctly, which means, yes dad, there is a right and a wrong way to carve a turkey. For the breast, start at the top of the breast bone and cut along the bone until the breast is removed from the rest of the bird. Then, slice the breast horizontally so each piece has a bit of skin. For the thigh and leg, cut into the joint and gently tug on it to remove the appendage. Cut the meat away from the bones, and slice. With these techniques, each diner gets a bit of the crispy turkey skin, and the meat stays moist and delightful. 12. Your mashed potatoes are gluey. Mashed potatoes should feel like whipped clouds. If you think yours could be used to stick tile to the wall, you can blame it on your masher. It’s a handy tool, but it’s one too many people abuse. Indeed, when potatoes get overworked (e.g. by an enthusiastic sous chef), they turn starchy. It’s not a good look for this beloved side of spuds. Instead of a handheld masher, buy a potato ricer or food mill. Both tools break down boiled potatoes into small pieces. The potatoes will turn perfectly fluffy and smooth with a few stirs while you add in the warm milk and melted butter. You can put your assistant chef’s keen crushing skills to use on a cookie crumb crust. 13. You don’t plan out your day. This isn’t any ordinary meal. It requires planning, strategy, and organization. About a week before you cook, make a list of each dish you plan to make. Add a column for where it’s cooked (oven or stove-top), how long it will need to cook, and the temperature at which it cooks. Be sure to note any dishes that can be made ahead, say on Tuesday or Wednesday, and easily reheated moments before you’re ready to eat. With this document, make a Turkey Day battle plan, a step-by-step strategy for getting everything chopped, season, stirred, and cooked. If you just wing it, your guests might be left eating the Thanksgiving meal in stages. Progressive dinners are great fun, but not on this day. 14. You wait until the last second to shop. Besides the very real possibility that you won’t be able to find what you need—a turkey, for example—grocery stores are an absolute nightmare in the final hours before a big holiday. Save yourself the stress and elbow bumps in the bread aisle and shop as early as you can. 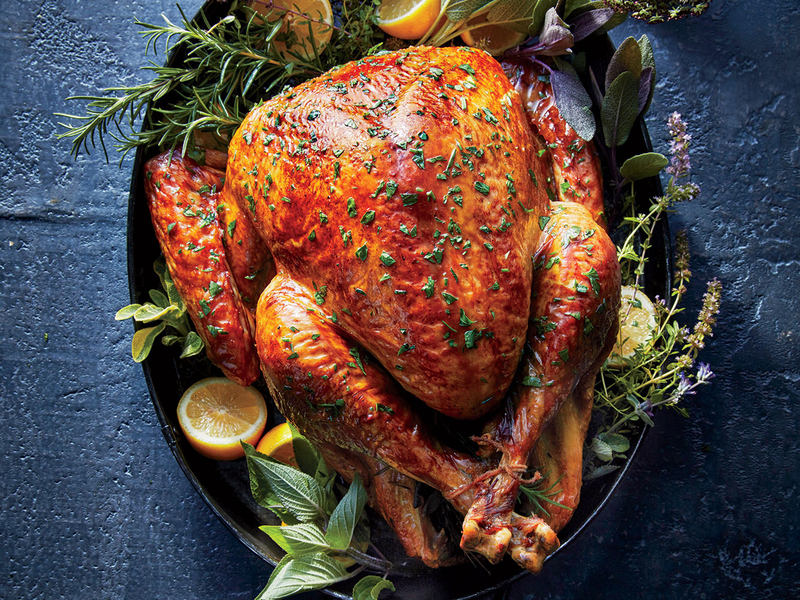 If you need something as fresh as possible—say, the fresh turkey you should cook within two days of purchase—get everything else you possibly can so your last trip to the store is short and swift. 15. You try new recipes. 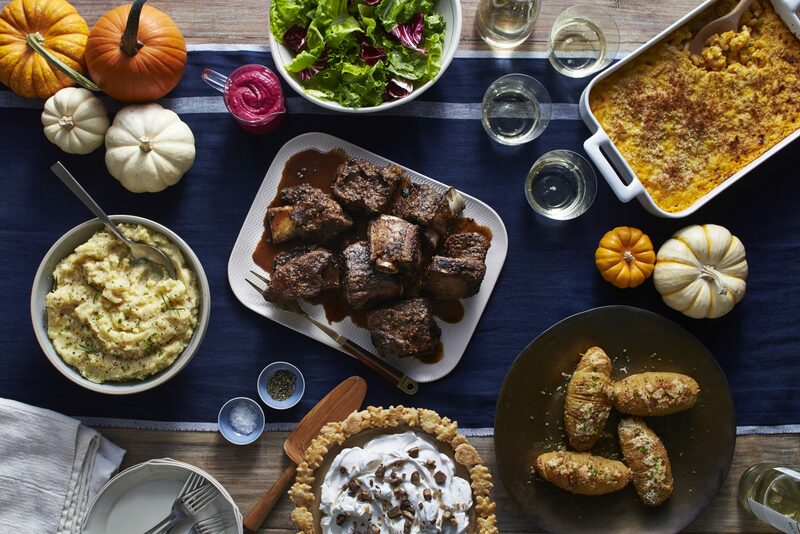 We admire your inquisitive culinary spirit, but Thanksgiving Day isn’t the time to take recipes for a trial run, not when you have so many other things to make and bake. We get that you’ve spotted a sweet new pear tart, and you can’t wait to unveil it to your adoring fans (that is, your family). But save yourself the worry and work of focusing on a truly new-to-you recipe and don’t cook a dish for the first time on Thanksgiving Day. If you know you just have to serve something new, give it a trial run before Thanksgiving arrives. This way, you can familiarize yourself with the steps, discover any possible hiccups or errors, and have confidence that the dish will turn out when you make it for everyone on Thanksgiving. 16. Your gravy is lumpy. Many a Thanksgiving cook has had to take the walk of shame from stovetop to trash can with what could have been a glorious turkey gravy had it not turned polka-dotted with flour lumps. This year, don’t let it be you. Keep this mantra in mind when it comes to turkey gravy: when in doubt, whisk. Then whisk some more. Sprinkle—don’t dump—the flour into a saucepan with the fat (pan drippings most likely), and whisk constantly to make sure every bit of flour is saturated with fat. When you’re confident you have no dry flour, slowly begin to pour the stock into the fat-flour mixture. Again, whisk vigorously. Keep a quick pace up for several minutes, or until you see no more lumps. Then, continue whisking the gravy while it simmers over medium-high heat and begins to thicken. If, despite this good advice, your gravy still ends up lumpy, pass it through a fine mesh sieve before your serve it. You can also—and this can be our little secret—blend it to pulverize any flour globs. There’s nothing wrong with lumpy gravy when it comes to taste. The clumps are just unappealing visually. 17. You don’t have enough oven to go around. Your oven can only hold so many dishes, and that means you have to pace your cooking perfectly or you’ll end up in a big traffic jam. When you’re making out your cooking plan and strategizing for the day-of work, make sure you have enough time to put everything into the oven, with extra time in the event something doesn't finish exactly when the recipe says it will. If you think you’ll be cutting it too close, consider swapping some of the dishes that need to be baked in the oven with no-cook recipes or ones that can be baked ahead. Consider also what dishes can be made on the stovetop or in the Instant Pot or slow cooker. 18. Your stuffing is soggy, like cement. You’ll likely never hear us recommend this any other day of the year, but we want you to buy a big loaf of bread and then not eat it. 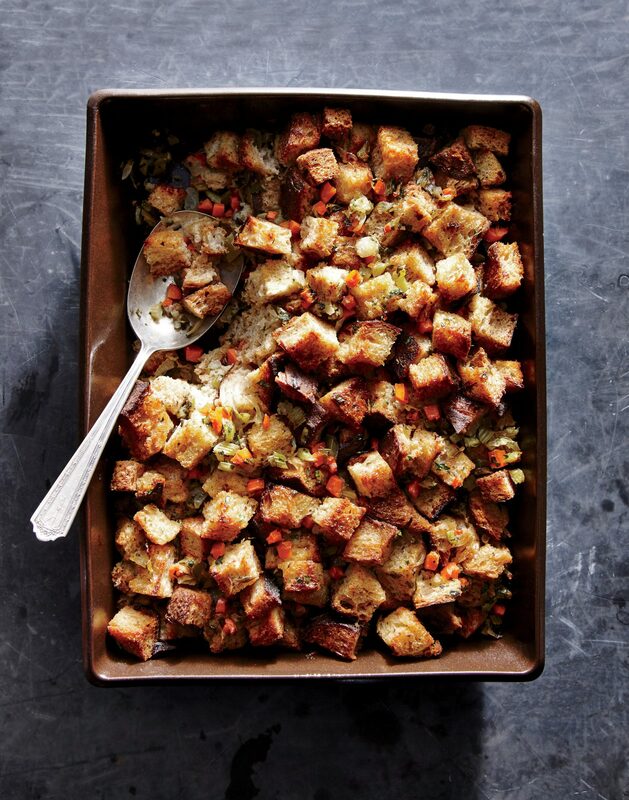 That’s right—stale bread, bread that’s turned hard and brittle with age, is best for stuffing. Fresh bread can be too soft and squishy when it’s used in dishes like stuffing or French toast. Pick out the bread you want to use at least three days ahead of Turkey Day. Leave it to dry out. You’ll be surprised how much more firm and toothsome your stuffing will be with this trick. 19. You don’t ask for help. The best cooks know when to raise the white flag and stop resisting the urge to fly solo in this endeavor. (That’s honorable, but it’s crazy.) Your guests are fully capable of helping, taking the weight of the entire meal off you. Ask anyone coming over for dinner to bring a dish with them, potluck style. 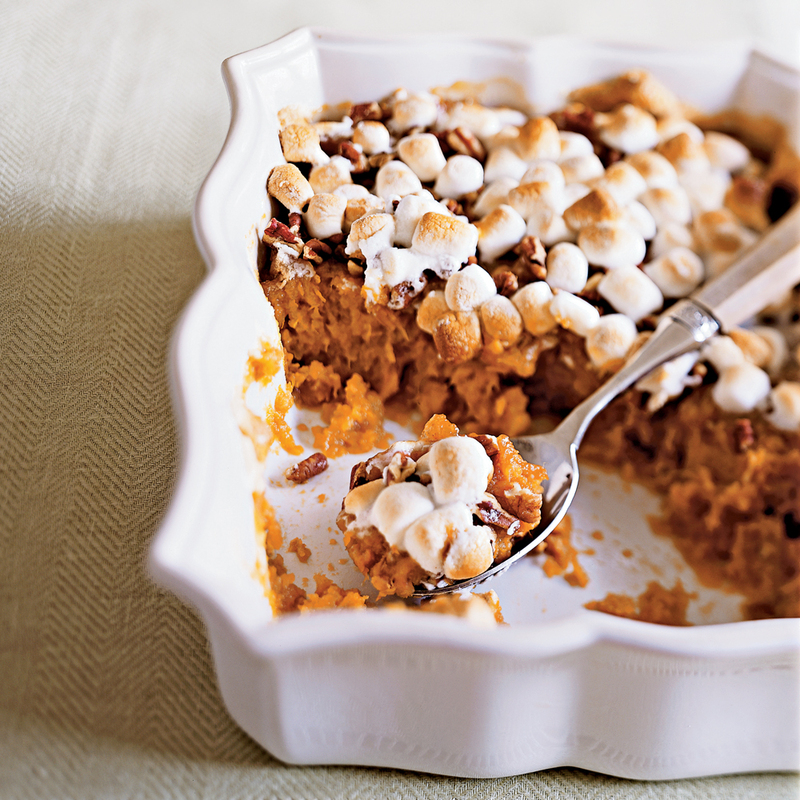 WIth enough people coming, you’ll only be responsible for the turkey and a side or two, plus perhaps dessert. Likewise, when guests start arriving at your house for the main meal, put them to work. They can roll up their sleeves and put an apron on quickly enough to stuff deviled eggs, prep a salad, or butter some rolls. 20. You wait to set the table. Don’t let procrastination or hectic days stop you from making the table where your family will enjoy the week’s big day. It’s one thing that won’t spoil before Thanksgiving gets here, so do it as soon as possible. Fresh flowers can be added the day of or the day before. But the plates, linens, and glassware shouldn’t wait. 21. Your pie crust is stiff. 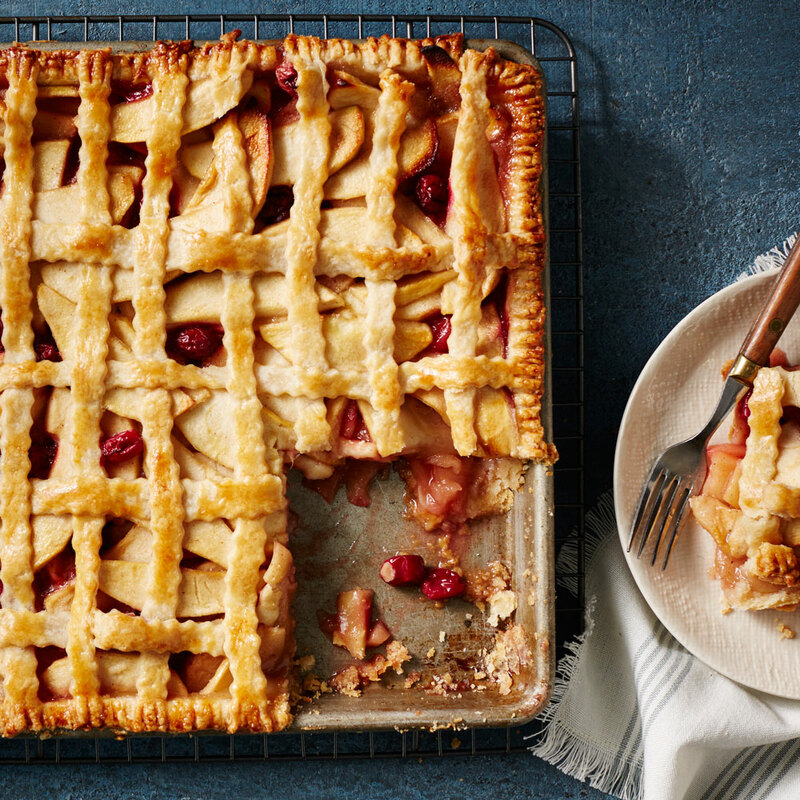 The key with pie crust is to combine and mix only enough to keep the crust held together. Overworked pie dough will turn stiff and bake up tough. Plus, make sure the butter you use is extra cold. In fact, there’s no harm in putting it in the freezer for a few minutes before you blend it with the flour. You don’t want warm butter because it will cream with the flour and leave your final crust dense and brittle. The studs of butter in a pie crust melt and release steam as the dissolve into the flour. That’s what gives pie crust its many crispy layers. Of course, if pie dough is intimidating, there is no shame in using store-bought dough. It’s simple, flavorful, and dependable when you just need a bit of the load taken off on this hectic day. 22. You eat too much. Is this a mistake? Or just a hazard of the day? Either way, you can quickly reach the uncomfortable abdominal distortion stage if you aren’t careful, snacking and nibbling before the meal and then chowing down on a plateful at the main event. If you start to feel uncomfortable, take a walk. The extra bit of movement burns calories, yes, but it also kicks your digestive system into gear. That’ll help ease the discomfort. You can also pop a few antacids to remove any indigestion or heartburn. 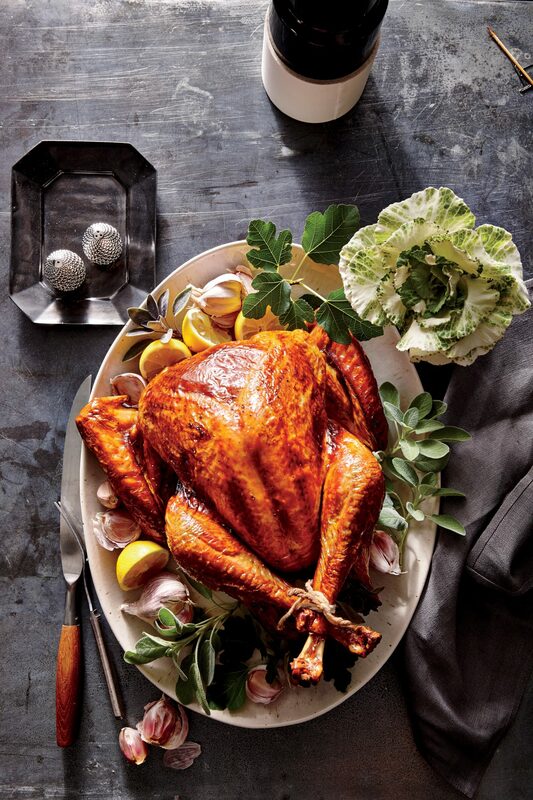 How Long Should I Roast a 20-Pound Turkey?